I joined Ukip deciphering that it’s more than just a political movement, it’s a social movement. The evidence is clear when you walk into a pub and notice the pub landlord has tossed a cascade of Ukip’s ‘Save the Pub’ beer mats around the pub; do you see the same for Labour, Tory – or Lib-Dem – supporters? No, now those activists only exist in a realm isolated from of the average man or woman, although they may pop by at election period. 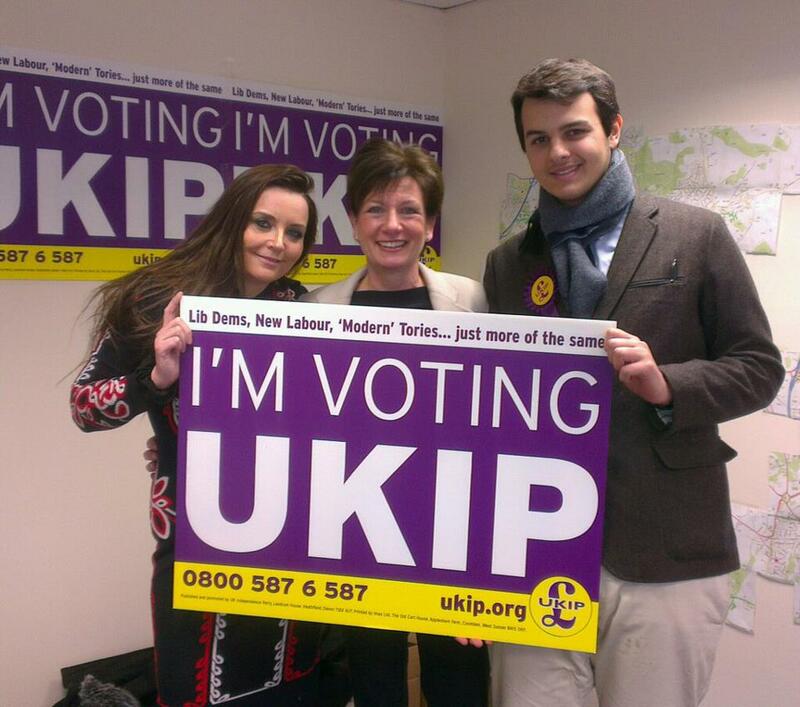 Ukip is different. And I believe this movement has to reach the youth if we really want to establish ourselves in the social fabric, and I think it is vitally important, as we've seen in currently in Young Independence, young supporters make their own interpretations of Ukip policy or values; enhancing the sense of the yellow, purple and striped tied Youth Kipper which I believe is a crucial beneficiary to the concept of the ‘broad church’ of Ukip, which is a good thing. Many young people feel naturally attached to what the Party stands for, however I worry that they are rummaging for a local Ukip presence, and Young Independence (if they've ever heard of it), when frankly it should be vice versa. I want to build tangible foundations for YI branches to seep new members - and activists, and of course establish more branches, particularly in constituencies where we do possess YI members willing to do their bit for the party. I am a strong believer in YI branch chairmen getting down and dirty for youth support; where do the youth go in your areas; youth clubs; social events; sixth form, college and university debates etc? My personal interaction with these branches would be key, moreover establishing a network between branches is essential; learning from the tactics of one another is what we really need to get YI together – and to be helping one another in terms of campaigning, transport and events. A relationship should also be established with your local Ukip branch in boosting these factors. I shall email, use social networking or meet branch representatives at party events, so we can share information and ideas. I am a strong believer in transparency; and I will update YI and the rest of Ukip, with what I do as Grassroots Officer in my blogs or emails, as well as taking into light your personal queries or interests. I will contact EVERYONE on the incoming database; no one will be left out. I have begun drafting plans with former YI Interim Chairman Rob Comley, embracing social networking in the process, to gather a bunch of Ukip supporting sixth formers, college students and university students to discuss why they want to leave the European Union, and why they believe in Ukip – before a camera; fruitful content which can be widely distributed. These - and many more - approaches should be taken to reach the social media capacity of other political youth organisations, such as Young Labour and Conservative Future, which are blatantly losing the argument but currently only have meek opposition. We must look beyond university as the majority are elsewhere, and that role of 'beyond' should be naturally carried out by the Grassroots Officer. Ukip’s Libertarian image - with a spice of Lady Britannia's common sense - can’t be amplified by merely the Party Leadership, but youth themselves. Similarly, we need more YI members out on the doorstep rather than older activists who struggle to walk up myriads of stairs; I have witnessed this struggle firsthand leafleting around London. Young Independence needs to be a tangible fighting force, not bluntly just on the internet. That includes activists from all over Great Britain gathering for the greater good. We must imprint ourselves in the social fabric; YI must defeat concrete jungles and tribal voting through youth networks, and therefore Ukip will surely have a beaming, long term future. My manifesto - Alexander Balkan – Candidate for Grassroots Officer of Young Independence. Proposer: Rob Comley. Seconder: Henry Reilly. Assentors: Jack Duffin, Kelly Gravett, Richard Harrington, Laura Howard, James Lynch, Gareth Shanks, Peter Thurston and Ben Walker.